It’s the end of the summer and almost time for comfort food season to begin (at least for those in Chicago). Pasta is one of my go-to comfort foods, however it’s still a bit too warm out for a heavy red sauce. For this Face Off I was thrilled to pull together an oil based sauce that is light and can be served year-round. An added benefit of making the sauce this time of year is that I had all the fresh herbs in my back yard ready to go (something that will change as soon as the cold sets in). I wanted my herbs to stand out in the dish so I chose not to use any over powering elements in my sauce, such as garlic. 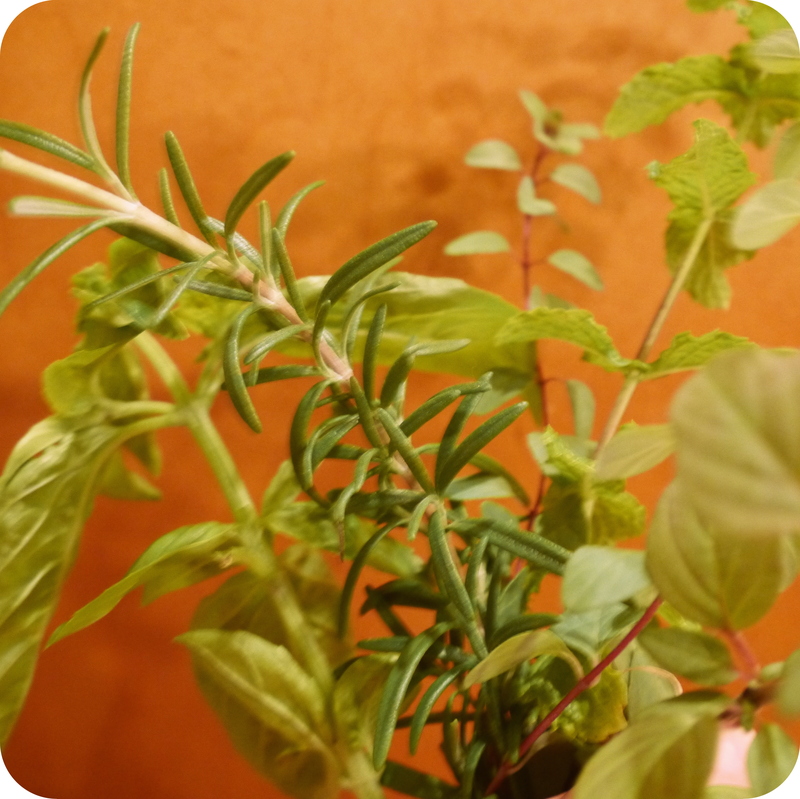 I used a mixture of mint, basil, rosemary and flat leaf oregano, but any herb mixture would be sufficient. 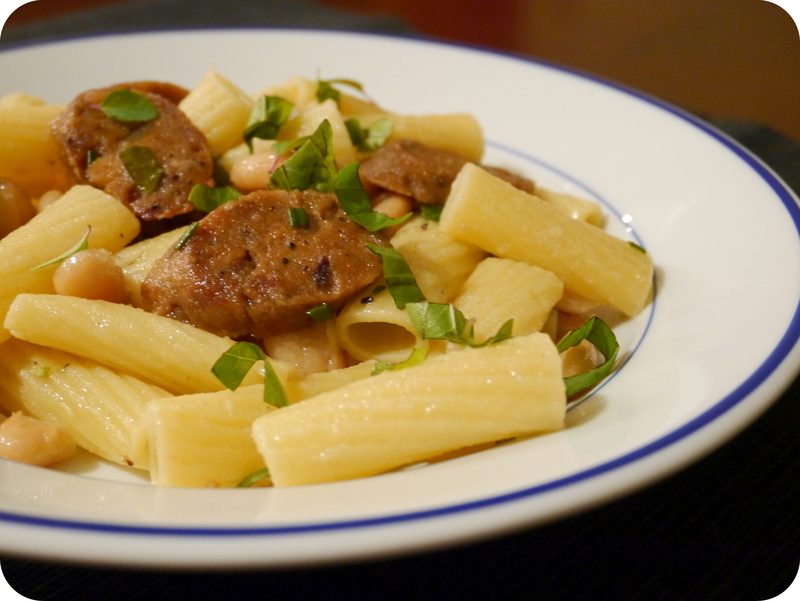 The vegan sausage (I used Fieldroast Smoked Apple Sage) and cannellini beans are completely optional, but make this dish a bit heartier. I went for rotini pasta to balance out the sliced Fieldroast and beans, but if you leave those proteins out of your recipe just the oil & herbs will work on any kind of pasta; so pick your favorite and enjoy! In a large sauce pan heat oil over medium heat. Add vegan sausage and brown, about 3 minutes each side. Add cannellini beans and cook for an additional 3 minutes. Add chopped herbs, salt and pepper and turn off the heat. Combine pasta and sauce, serve with vegan Parmesan.